Target and Neiman Marcus collaborated to create a Holiday 2012 collection of designer clothing and home items to make perfect gifts for the holidays. 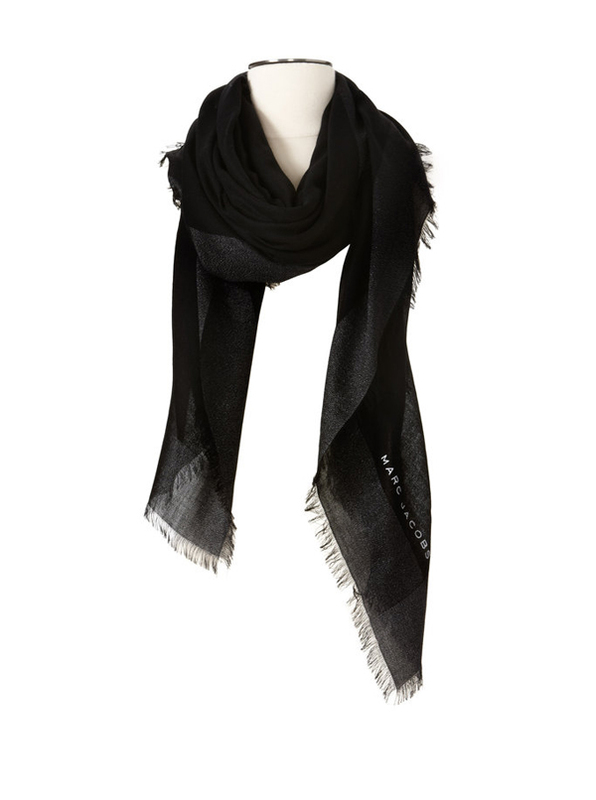 There are party clothes and great accessories to add to one’s winter wardrobe. 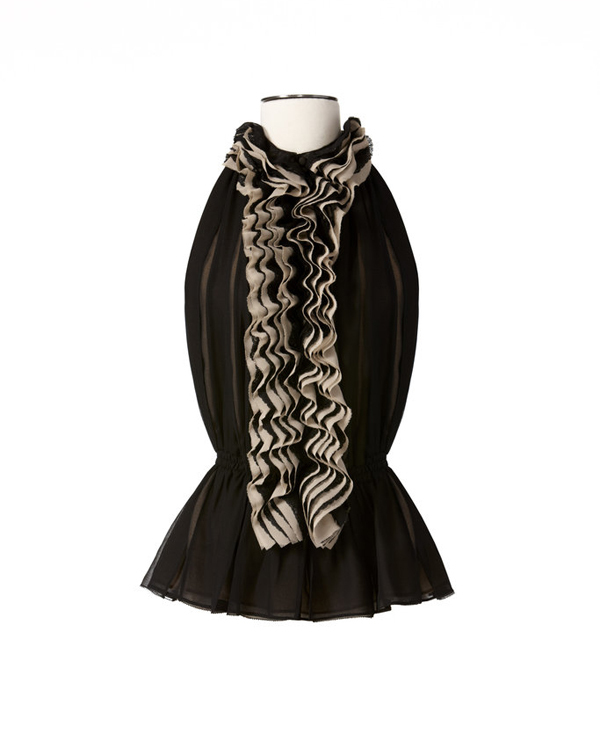 Take a look at our top picks from Target x Neiman Marcus Holiday 2012 collection. Robert Rodriguez came up with two beautiful items, a party ruffle top and a lacy party dress with a ribbon belt.The first one can be paired with skinny pants or a skirt for an elegant party look while the dress can do with a pair of classic black shoes and a clutch. 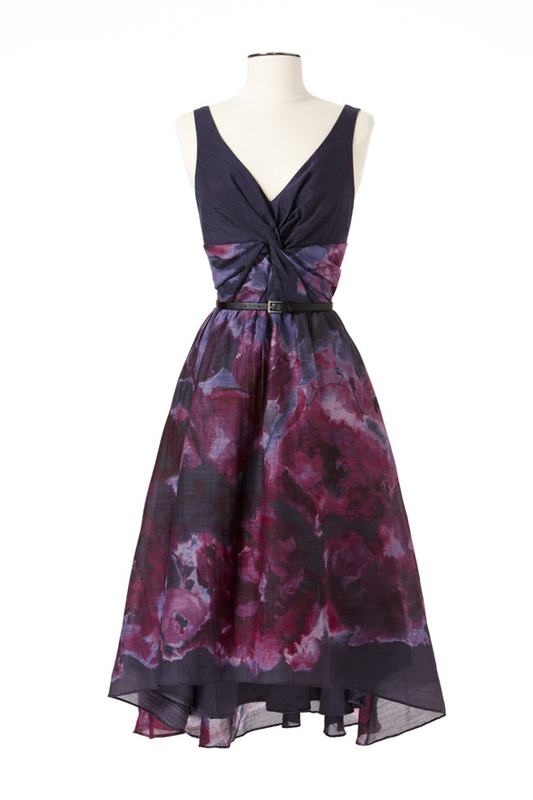 Lela Rose has crafted a beautiful floral dress with an assymetrical hemline and a V-shaped neck. 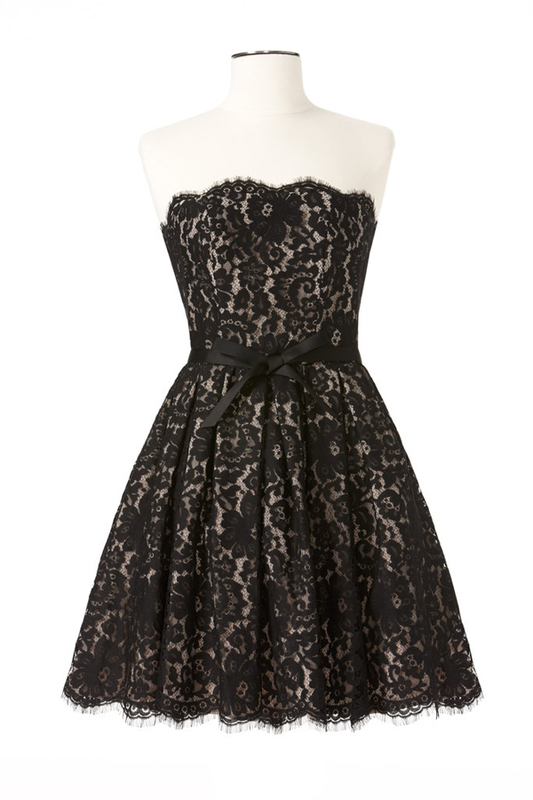 The dress is both festive and casual. It can be worn for a Christmas celebration as well as a garden party during summer. 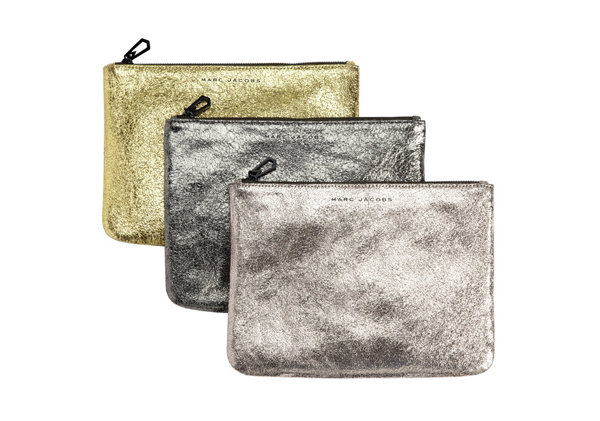 Marc Jacobs prepared a classic winter must-have, a scarf and a metallic pouch in three colors – gunmetal, rose gold and gold with Marc Jacobs logo at the front. 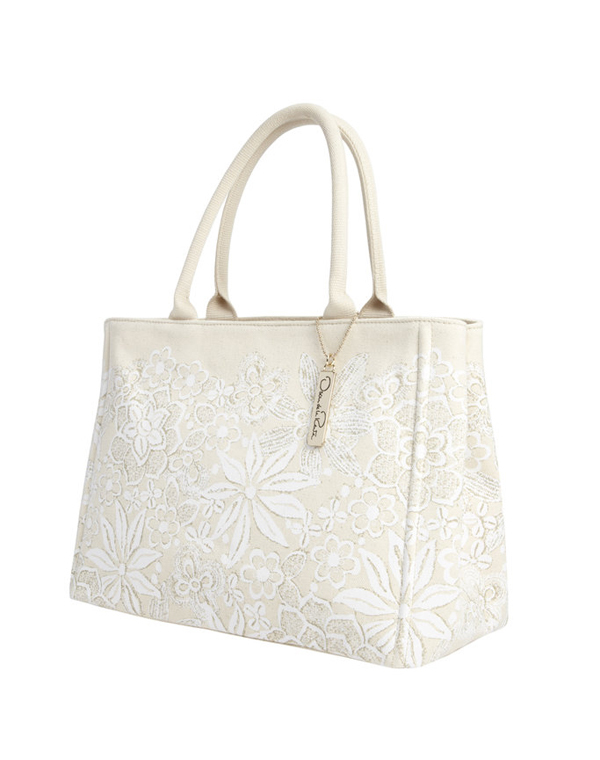 Oscar de la Renta created a white canvas tote bag in floral pattern which is a great addition to any accessory collection. Although I see it more as a summer bag as it’s light and seems very lightweight. 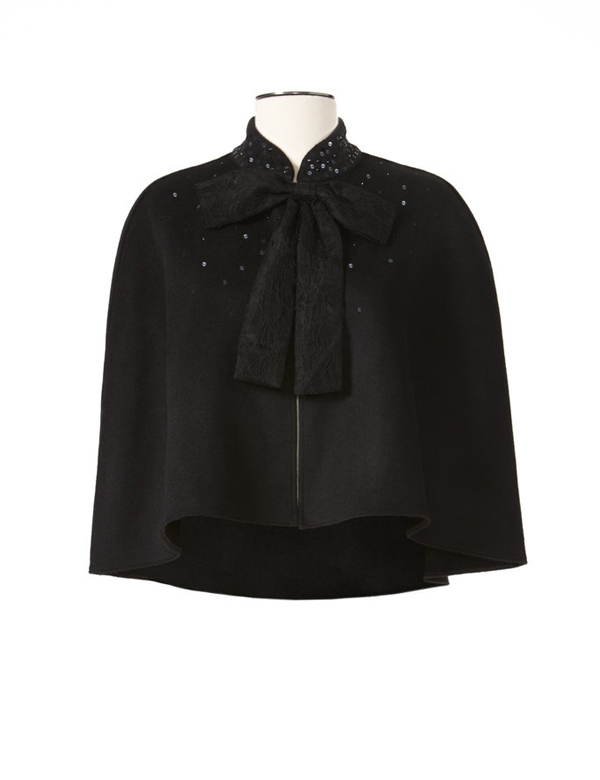 Prabal Gurung cape is an amazing fashion accessory for those living in a mild climate with warm winters as it’s short and pretty much decorative featuring a bejeweled collar and a lacy ribbon. Derek Lam’s fashionable slippers in ever trendy leopard print are decorated with two gold buttons and make for a perfect gift to oneself or a fashionista who wants to stay trendy even at home. 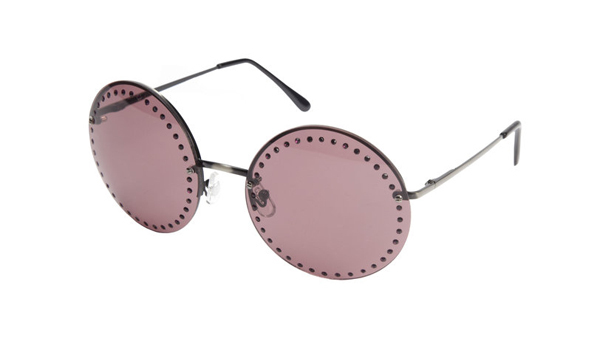 Brian Atwood may be known for his shoes but for this collection the designer created round pink sunglasses outlined with rhinestones and a pair of dramatic long leather gloves with punctuated ombre studs. 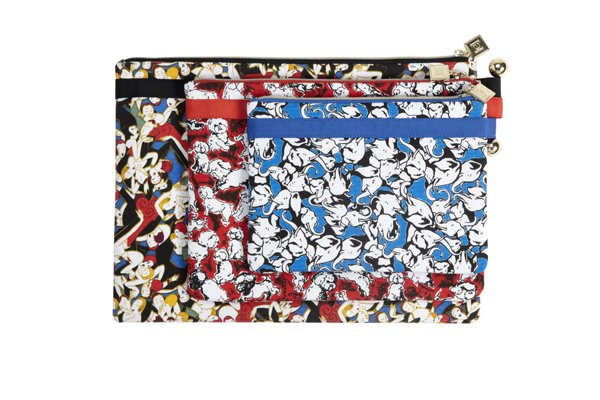 Carolina Herrera designed a colorful set of three cosmetic travel bags with different prints. The three bags come in different colors and sizes and make for great cosmetics organizer.